This moderately demanding track is in a dramatic landscape in Mount Aspiring National Park. 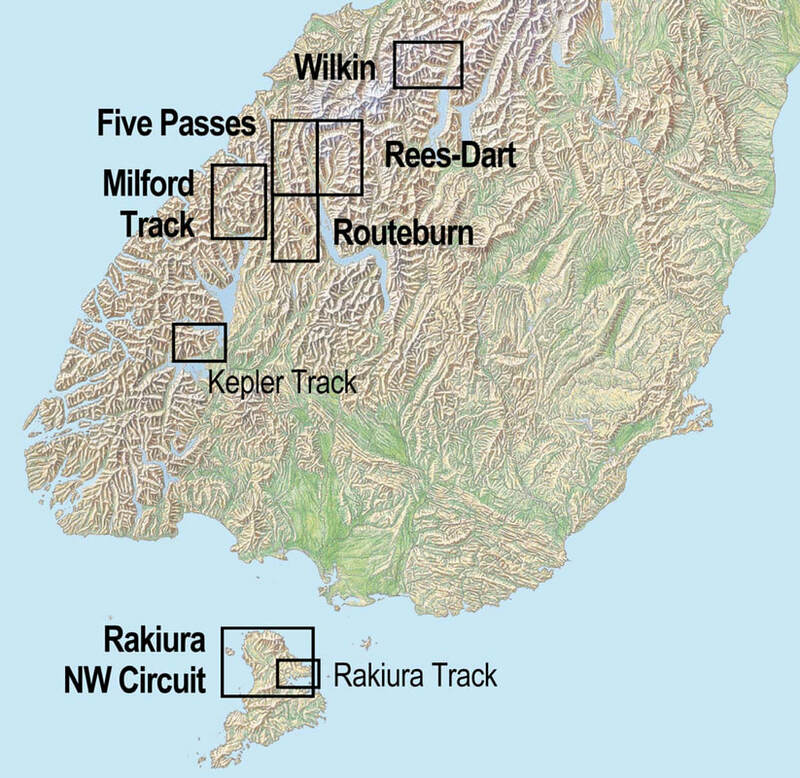 The map portrays the full length of the track on a fully-detailed topographic background, which does justice to the environment. The few road access points are shown. The combination of contours and relief shading gives a realistic landform. This 2017 edition shows the re-aligned Dart Track which has been rebuilt further from the river following the landfall at Slip Creek. This edition also shows the boundary of the Aspiring National Park and adjacent Reserves. Refer to DOC Alerts for latest information. Large format 600x840mm. Folded to 120x210mm. Printed on 94gsm high wet strength paper.